Gordian Ndubizu recognized with American Accounting Association’s 2012 Outstanding International Accounting Educator Award. Dr. Ndubizu has published 40 papers in elite and highly respected academic journals, four book chapters, 45 proceedings and presentation at academic conferences, and 16 invited presentations. In the area of research, Dr. Gordian Ndubizu’s record speaks for itself. He has published 40 papers in elite and highly respected academic journals, four book chapters, 45 proceedings and presentation at academic conferences, and 16 invited presentations. Over 80 percent of his publications are in the area of international accounting. He has also served on the editorial boards of many journals, including most U.S. international accounting journals. In addition, he has served as ad hoc reviewer for most major U.S. and international journals. 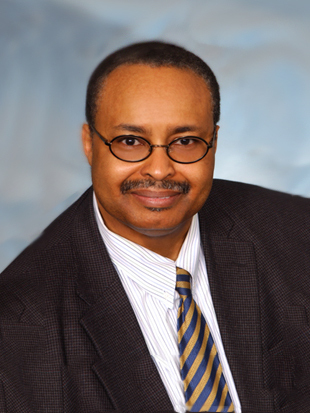 Dr. Ndubizu has taught accounting and international accounting at the undergraduate, graduate master’s and Ph.D. levels at Drexel LeBow since 1987. The past year was one of both change and continuity for Drexel LeBow. The biggest change occurred in the dean’s office, with George P. Tsetsekos, Ph.D., stepping down after 10 years at the helm. Our former dean remains with us as the George B. Francis Professor of Finance and the trajectory he established for LeBow College of Business continues to be realized through the achievements of 2012. Here are just a few highlights.